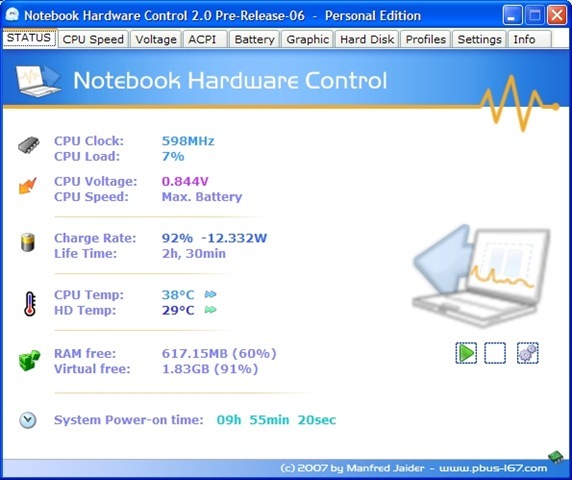 Go and download a copy of Notebook Hardware Control (NHC). 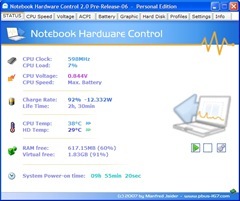 allows your system to run a lot cooler. allows your system to run quieter. … and some other stuff as well. I went away from NHC for a while as it caused my Windows Vista laptop to crash, in interesting ways. But this new version works well. 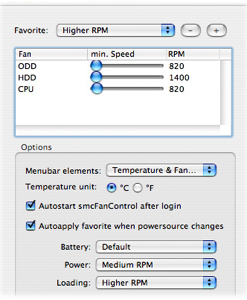 There is an equally good program for the Intel Macs, call smcFanControl2. Now I don’t use Macintoshes, but smcFanControl2 Home Page has gotten some good reviews, so it’s worth a look. Like many things Linux, it’s hard to find any information of real use. * – my figures, your mileage may vary. Disabling the laptop touchpad when typing.